Can Household Products Clear Up My Acne? The next installment of our series on Debunking Common Acne Myths focuses on whether the products in your medicine cabinet can help clear up your pimples. 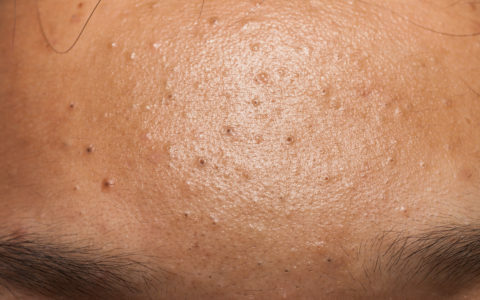 You’ve probably read some posts or listened to vloggers discuss all sorts of homemade ways to get rid of that zit, fast. Some may even recommend searching your bathroom for products that aren’t designed for treating acne, but may help regardless. Is this safe for your skin? 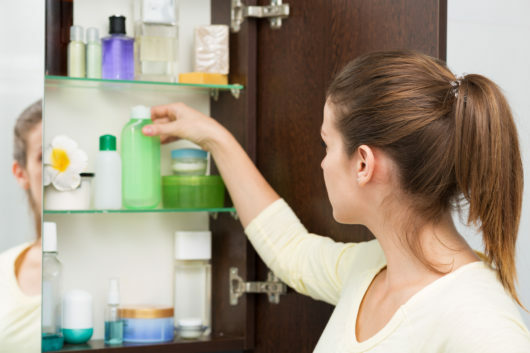 Myth: Most things in my medicine cabinet can clear up my acne. Heard that putting toothpaste on your zit can help it to deflate? Been told that witch hazel or rubbing alcohol is a good toner? Think again. While these remedies may seem to work at first, they are likely to cause irritation and flakiness over time. Neosporin is especially dangerous because it’s specifically made for open cuts and wounds, and when you put it on a pimple it does speed up the healing process but this closes up the pore and creates warped looking skin. It is true that hemorrhoid cream can improve the appearance of your pimples. It contains phenylephrine, which constricts superficial blood vessels in the skin, making acne appear less red; it also contains low-potency hydrocortisone, which decreases inflammation and swelling. That being said, there are literally thousands of acne products on the market —a huge variety of formulas, strengths, and price points — that are specifically formulated to tackle your acne. While your parents or grandparents may have limited options in terms of available products, you don’t, so stick with acne-specific skin care from brands you trust. Natural remedies can be fabulous, but make sure they’re concocted safely. If you have severe acne, more robust formulas (and a serious skincare regimen) are likely the only ways to clear up your breakouts.